Sarah Sofia Productions is a wedding and event planning company based in Charlotte, North Carolina. 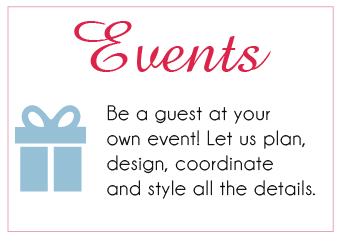 Our mission as a boutique wedding and event planning company is to coordinate the details of your wedding or event with a sense of style and professional service. We are passionate about the art of entertaining and celebrating life's events in style. Let's celebrate in style together!